August Auto Spa is home to the best vehicle detailing services in Kelowna. Our highly trained detail specialists regularly detail the world’s finest brands including Lamborghini, Ferrari, and Porsche however we are proud to offer our luxurious Auto-Spa packages are available for all makes and models. With that kind of experience, you know you can trust your vehicle with the best! 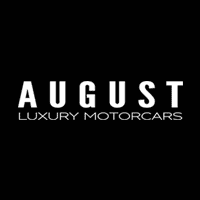 To book, fill out the form below, call us at (250) 860-0444 or visit August Luxury Motorcars located at 884 McCurdy Place in Kelowna, BC. This incredible product protects your vehicle’s paint while maintaining an unprecedented shine and providing much easier cleaning and maintenance. * Prices subject to change depending on vehicle condition and age. Prices apply to cars, SUVs, and mid-size trucks 5 years old or newer. Prices do not include GST. Visual quote required for full-size trucks & SUVs.